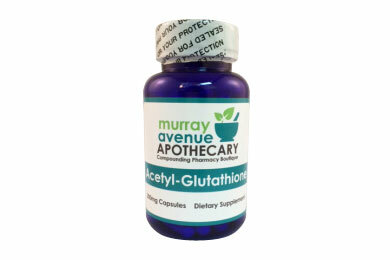 Murray Avenue Apothecary is a compounding pharmacy providing Palmitated Topical Glutathione and Acetyl-Glutathione – the absorbable form of oral Glutathione. Read our blog post on healthy alternatives to Tylenol during pregnancy! Click here to view Susan’s article on the absorption of Glutathione. It’s also great for pets! Acetyl-Glutathione for pets: 2 mg per pound in capsules or flavored liquid. For more great testimonials, click here! Glutathione by itself is not bioavailable when taken orally and not appreciably absorbed in human or animal models. 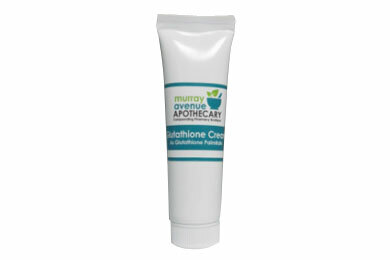 In order to have sufficient bioavailablity in an oral product, glutathione must be modified to Acetyl-glutathione. Acetylation is the way all proteins, amino acids and peptides are transported by the body. Acetyl-glutathione is a food substance recognized as a Dietary Supplement and is generally regarded as safe, when used as directed. TOPICAL GLUTATHIONE-The tripeptide Glutathione, is the master antioxidant, of the human body. Many biochemical processes are regulated, modified, or initiated by this crucial chemical. Glutathione goes to the organs that need replenishment first-lungs, brain, heart, and then other organs. Increases the micro-circulation in the tissues Powerful antiviral and antifungal, and anti-inflammatory Any condition that one would prescribe a steroid as the anti-inflammatory glutathione is superior to any steroid- With no side effects. (Glutathione is normally found in human tissues). 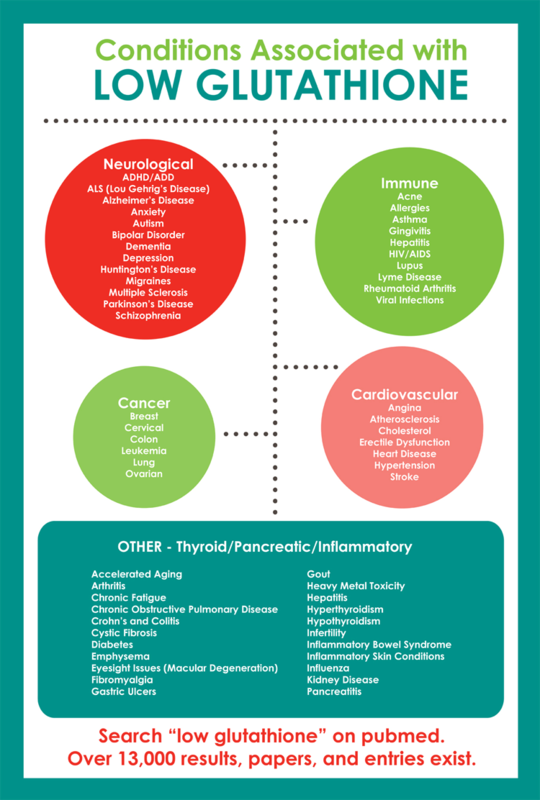 Psoriasis/Excema/Rosacea... AND SO MUCH MORE!